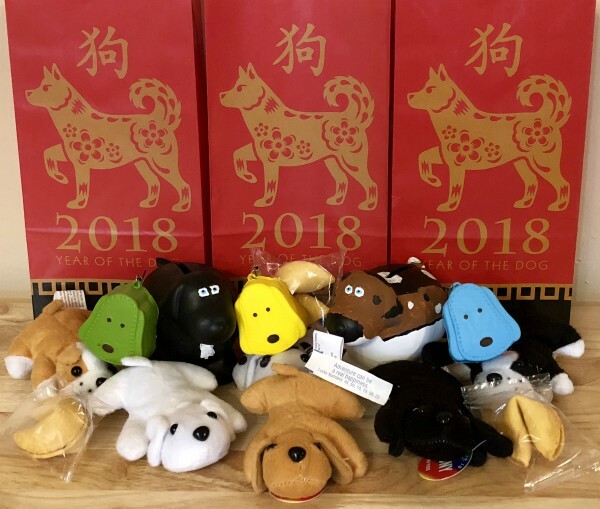 If you don't already know this year is the Year of the Dog for the Chinese Zodiac New Year. The only reason I know this is because my daughter will be 12 this year so it was the Year of the Dog when she was born. Oh and because she told me all about it. She decided that this year is a special birthday since she will be turning 12 and her Chinese Zodiac from when she was born has made it's way back around. If you didn't know they rotate every 12 years. I'll admit I had no idea until she filled me in with her pitch about her Year of the Dog Chinese Zodiac themed birthday party. So after talking with her dad we decided that if she had educated herself that much on something without any prompting than she deserved a birthday party for it. And thus began the quest to find things for her party. If you've ever searched for Chinese Zodiac party supplies you know there are actually quite a few out there. Some are very specific to the theme too, like these cute treat bags I found on the Oriental Trading website. They are super cute and will be great for holding all of the other dog themed goodies I found. They also match a bunch of other party supplies on their website. Besides the specific supplies we also did some general "dog" themed things too. We decided to do some stuffed plush mini-dogs, Squishy dogs (since they are so popular right now), and some DIY ceramic dog banks (great for birthday party crafting). Oh and of course lots of fortune cookies! I mean what Chinese New Year themed party would be complete without some fortune cookies. We already taste tested a few of them so I can confirm that they are just as good as the ones you get with your Chinese take-out orders.